It’s tough to find anything truly free in real life. Perhaps after all the money you pay to vacation at Walt Disney World, it’s a special bonus to find something free. Technically, unless you’re a local just hanging out, you paid for it with your theme park costs of admission. But you know, we all love the idea of getting something for free. 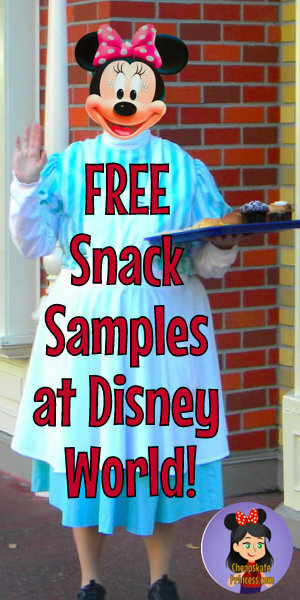 Disney World offers free snack and drink samples in their parks and resorts. Now by “sample,” we don’t mean an entire pizza or a whole chocolate-covered caramel apple, but rather samples are just small bite-sized and single cup amounts, designed mostly to wet your appetite enough to make a purchase. 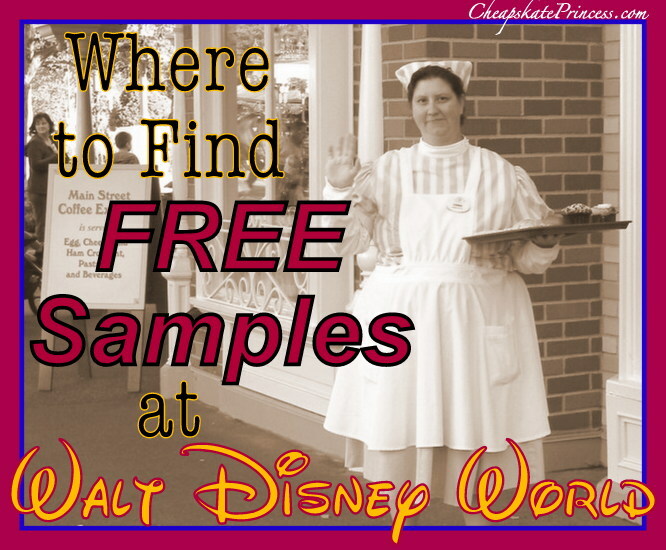 A recent Internet search revealed very little information on where to locate free Disney snack or drink samples, beyond the few items I was already aware of. So we asked our Cheapskate Princess Facebook Fans to tell us where they have found free snack samples. I consider this to be a work in progress, so if you know of a free sample we missed, leave us a comment at the bottom of the page so we can update our information. I mean, can you really have too much free?! Soft Drinks – Club Cool in Epcot’s Future World offers eight drinks from around the world, all of which are types of Coca-Cola brands. I am a life-long southerner, and some of us call everything Coke, so how can you go wrong here with Coke, except for maybe the Beverly! Taste as much of the beverage samples as you want for as long as you want, but unspoken park ettiquite says you shouldn’t fill up a thermos full or water bottles. This place is so popular, the floors are slippery. Read this to find out why you must try the Beverly! 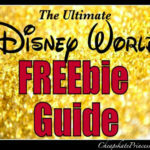 For some Walt Disney World Fun, You Have to Try THIS Free Drink! Flower & Garden Samples – Andy, “My friend Dianna and I actually got a free apple sauce pouch last week at the Flower & Garden Festival. I think it was part of a promotional thing because I’d never seen that before.” So be on the look out for product samples. Free Tea – A reader informed us that during the Flower and Garden festival, the UK offers a free tour at the Twinings shop, and they offer a free sample pack of tea bags and a free tea drink afterwards. There’s so much construction going on in Hollywood studios, we are unaware of samples at this time. If you know of any, please leave us a comment at the bottom of the article and we’ll add the information in! Free Chocolate – Cast members at Ghiradelli’s Soda Fountain and Chocolate Shop hand out free chocolate samples throughout the day. These have gone from small to mini size in the last several years, but it’s still a free sample. 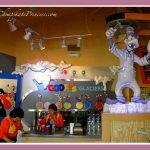 Frozen Drinks – Drop in Goofy’s Candy Co. for a free sample of Goofy’s Glaciers frozen drinks. While this is not an all you care to drink buffet of samples like Epcot’s Club Cool, they are enough to cool you off for a couple of minutes on a hot day. 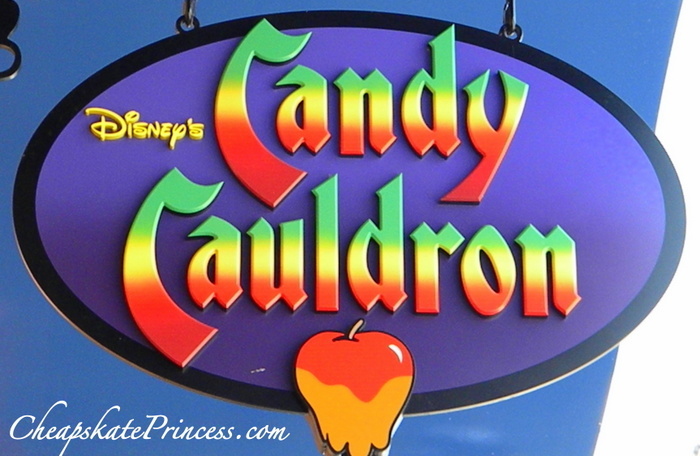 Candy Cauldron – The pretty tiny sweet shop down by the Characters in Flight balloon has samples on top of their cookie case frequently. 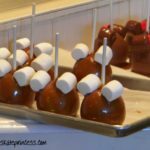 This is also a great place to watch the sweets being made on the spot, which we do when Downtown Disney is crowded during holiday seasons. 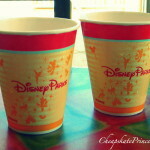 How Much Will the New “Rapid Fill” Refillable Disney Resort Mugs Cost You? Is It Worth It? 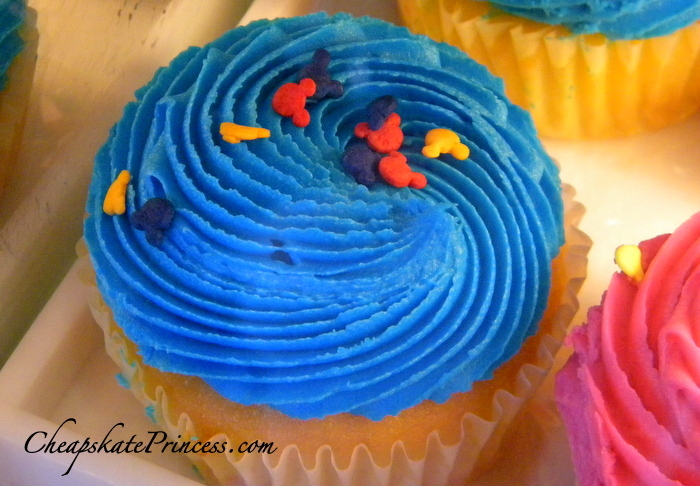 Various Samples – Many resorts are now offering cupcakes and assorted sugary goodies in their gift shops, kept in refrigerated cases for freshness. One excellent gift shop that comes to mind is Bay View Gifts (BVG) at the Contemporary Resort. Check the top of the snack case for occasional free snack samples like cookies and fudge. Holiday treats During the week before Christmas, many of the Deluxe resorts typically offer holiday snacks in their lobbies for a few hours at night, including roasted chestnuts, sugar cookies, cider, and candy canes. I know on Christmas Day during various years, both Moderate and Deluxe Resorts offered sugar cookies and lemonade/water in the lobby, and this was a whole cookie and a nice sized cup of lemonade. Culinary Tour Treats – At the Animal Kingdom Lodge at 4 p.m. each day, restaurants Jiko, Boma, and Sanaa offer half-hour culinary tours. The tour discusses restaurant decor, restaurant architectural, and provide insight into menu items. 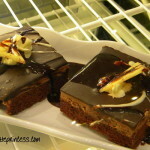 Many readers say they have enjoyed samples of certain dishes. And while water isn’t a snack, why pay for it when most restaurants and some snack stands kiosks will give you a large cup of ice water (possibly just ice) if you ask for it. 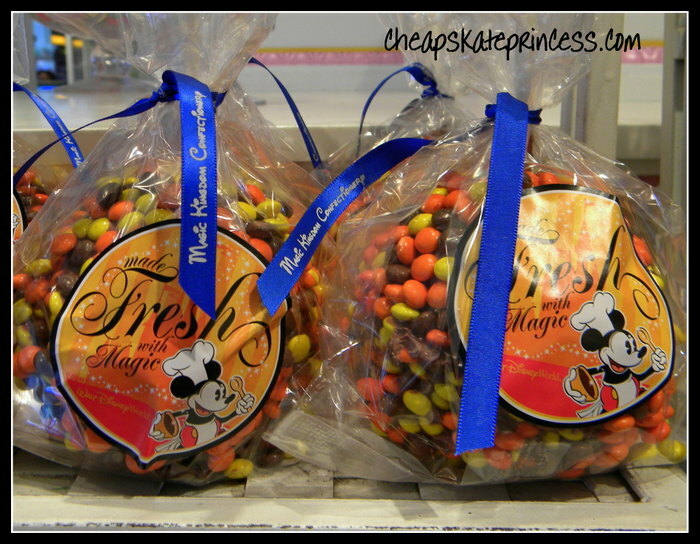 Again, we’re not talking about meals here, like when you fill up on free samples in Sam’s Club on a Saturday afternoon, but these are just little snippets of Disney sugary goodness to make you feel like you scored a little freebie with all the money you paid for your trip. Everybody loves free! 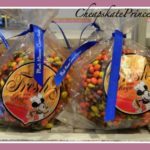 So if you know of a place on Disney property that hands out samples, leave us a comment so we can add it in to the article. You can never be too prepared for a trip to Disney. 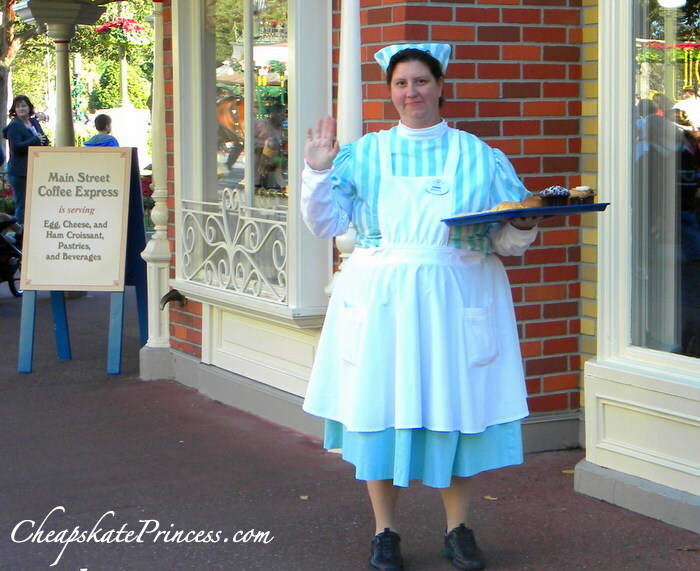 Thanks for stopping by and we’ll see you munching on a small, pretty small, sample of cotton candy on Main Street’s Confectionary. 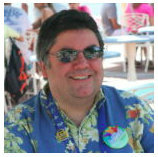 Should You Bring Your Own Snacks to Disney World to Save Money?